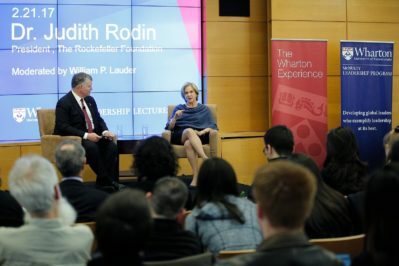 The Wharton Leadership Lecture Series seeks to provide a forum for the most senior executives from the public and private sectors to address pertinent leadership issues and share their insights with the Wharton community. 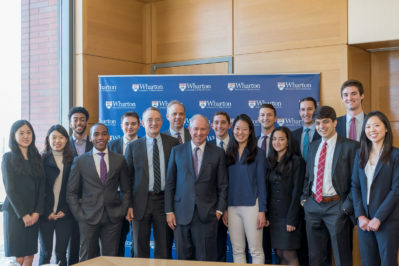 Our events are open to all Wharton students, faculty and staff at no cost. Our lectures have featured many of the world’s most influential leaders and policy-makers. 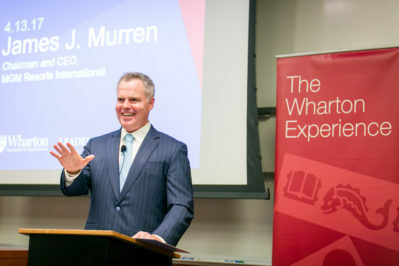 Topics range from telling the story of a speaker’s path to leadership, industry-specific leadership examples or discussions of the various challenges that CEOs face on the job. Events are typically held on Tuesdays in the late afternoon during the academic year. Marc Lore Chairman CEO, Walmart eCommerce U.S.
Victor Luis CEO, Coach, Inc.
Dominic Barton Managing Director, McKinsey & Co.
Have A Question About The Series? To nominate a speaker, please complete our Speaker Nomination Form.